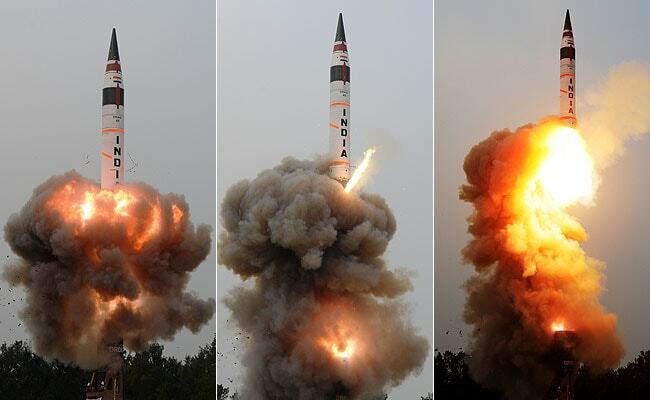 Agni-V can be dubbed as first Indian weapon system which was called “China Centric” and caught the attention of the world and peaceful rise of India has a Regional Super Power which was moving away from being Pakistan centric mindset and started focusing on its larger regional rival in the east which had started breathing fire near its border . Since then India has slowly but steadily has made remarkable progress from shifting its Military and Weapons development doctrine from Pakistan centric to China Centric to enable its armed forces to fight an effective possible two-front war. India is not trying anyway to match Chinese conventional which is to have minimum deterrence to provide forces with enough firepower to hold any attack. Agni-VI: Mobility, MIRVs and long range is all that India’s Strategic Forces Command (SFC) will look to acquire when Agni-VI is handed over to them once its complete developmental trials, Nodoubt Agni-V can hit whole of China but it requires positioning of the missile somewhere in Northern India which makes them vulnerable to Chinese pre-emptive strikes, SFC could like to hide Agni-VI further South or even in places like its uninhabited islands in Andaman to ensure India has desired firepower for both conventional and Nuclear Retaliation if required . Pralay SSM: India to counter China’s deployment of Dongfeng 12 mobile short range missile system in border areas with India has started development of Short Canister based Surface to Surface ballistic missile which can carry multiple warheads. Tactical level Pralay ballistic missile is India’s attempt to match the conventional firepower of PLA in its eastern border is a first weapon system which will be under command of local area commander to be used to neutralise advancing army in the area. DRDO-BrahMos AsHM: India’s Two premier agencies DRDO-BrahMos Corp have joined hands to develop a new Subsonic Anti-ship Cruise Missile which has Supersonic sprint in its last stage. Unnamed AsHM will have a range of 1500km and will be developed for Indian Navy to strike at Chinese naval ships operating in Indian Ocean Region when threatened. India always had Russian supplied Anti-ship Cruise Missile in its fleet but were of limited range of under 300kms while India has become member of MTCR regime which now entitles, India to acquire longer range Anti-ship Cruise Missiles but India has decided instead to go for development of its own indigenous alternative Anti-ship Cruise Missiles to be independent of International suppliers .